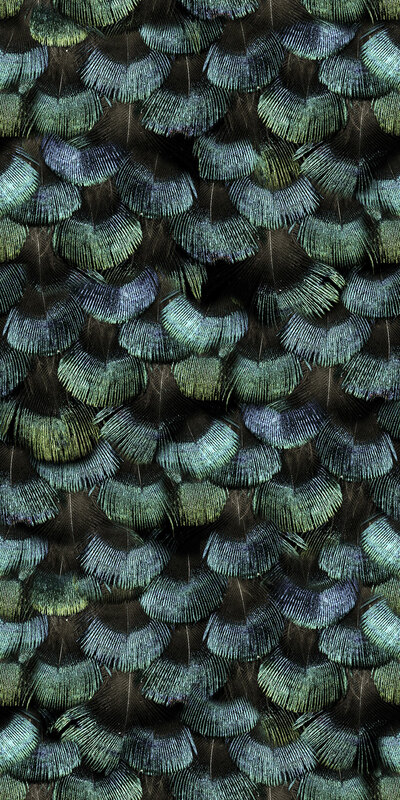 This design is based on a close-up picture of iridescent feathers. The delicate and somewhat mysterious shimmer of the bird feathers has been preserved in the wallpaper reproduction. With its gemstone colors, it will make an elegant wrapping for any interior.